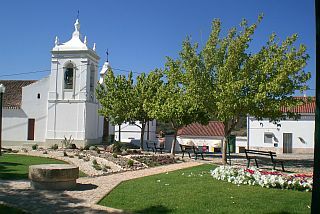 The village of São Marcos da Serra, with its white limewashed houses, brightly-coloured fascias and steep narrow streets, is a typical village of the mountainside of the Algarve. The village has several gardens and picnic spots and you can enjoy beautiful views on the serra. The river Odelouca is curving around the village and ends in the Odelouca barragem (a large reservoir). 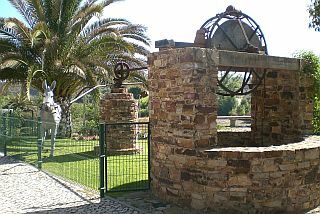 Driving into the village, one of the first things you will notice is the well with the waterwheel (nora) and the donkey. These kind of wells are still quite common in the area, although there are no more donkeys that work the mechanism. The nora was introduced here by the Moors, who were experts in irrigating the crops. São Marcos da Serra is locally known as "terra de peixe-burro" (land of the fish-donkey). The story goes that a long time ago there was a man fishing in the Odelouca river and he caught a leg of a donkey instead of a fish. 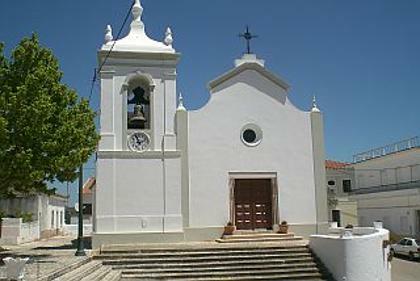 The mother church stands proudly on the top of São Marcos da Serra and dates back to the beginning of the 17th century. 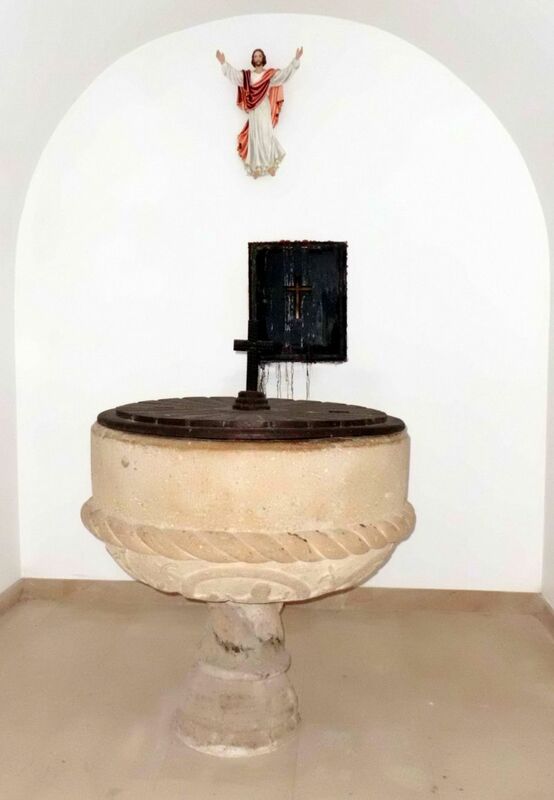 Inside you can admire the beautiful baptismal font, the baroque altarpiece and a statue of the Saint that gave this village its name: St. Mark. 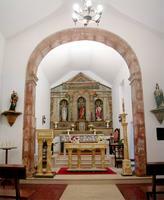 The church was built in Manueline style (named after king Manuel I, who was the king of Portugal from 1495 to 1521). 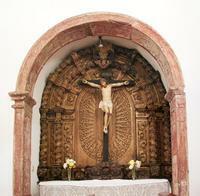 This style is specific to Portugal and was influenced by Renaissance, Gothic, Moorish and Byzantine styles. 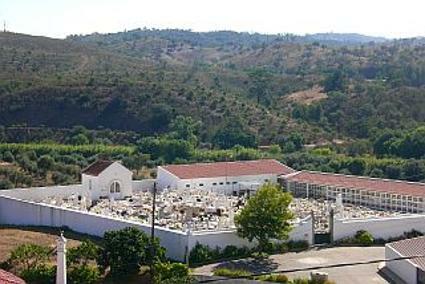 When looking down from the church square, you can see the beautiful graveyard with the green hills of the serra in the background. When your time ever comes, isn´t this just the most peaceful, pretty location for your final place of rest? The graves are well taken care of by the people from the village and are decorated with lots of colourful flowers. Opposite the church you will find this building. The parish council and the post office (CTT) are on the left side and the local health care centre on the right side. 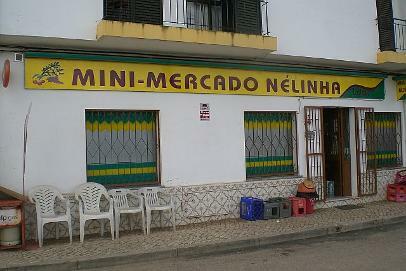 Years ago this building was the market (mercado) of S. Marcos da Serra. At the parish council you can use the public computer to enter the internet free of charge. The ladies that work here are very friendly and helpful. Opening hours are between 09.00 and 13.00 and between 14.00 and 17.00 hours. The medical centre is open every day, but a doctor is not present all the time. Right in the middle of the church square you will find the statue of Dr. Bernardino Ramos. He was a very respected doctor who practised and lived in São Marcos da Serra. People came to him from far and near and he also treated poor people free of charge. To honour him for all the good he did, the parish named the street that he used to live in after him and placed this statue near the health centre. The fact that this was already done when he was still alive, made him feel rather uncomfortable. Located next to the church, Café Central is set in the heart of the village of São Marcos da Serra. Locals come here for a coffee, to chat, have a drink or to watch a little television. The tables are made from antique Singer sewing machines. 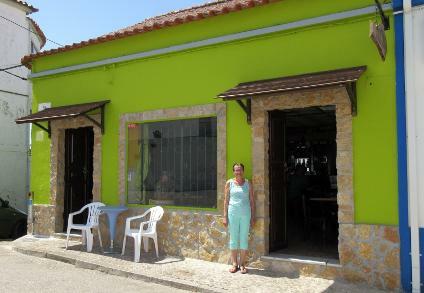 Another nice café is Arco-Iris, located in the Rua da Fabrica, next to the Drogeria Nova. Here you can enjoy your drinks on a shaded terrace. Locals are very proud of their own football club: the Serrano Futebol Clube, that was founded on the 27th of March 1981. SFC has its own stadium and even a café with the clubs name, which, by the way, serves a very nice "bifana" (bread with pork meat). In 2009 the team became vice-champion of the Algarve in the 2nd division and they were promoted to the 1st district division. José Manuel Cabrita is the President of the football club. The Club has almost 300 members and 8 employees. You can also become a member for as little as 6 euro per year! 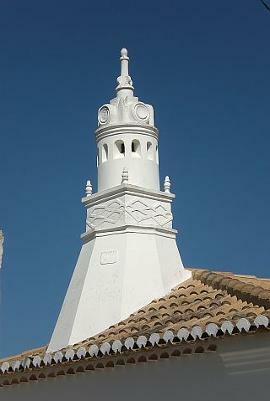 Did you ever pay attention to the chimneys on the roofs of local houses in the Algarve? No two chimneys were built the same. These richly decorated ornaments date back to the time that the Arabs dominated the area. They were the visual element of social and economical prestige and vanity of the owners. Most of the ornate chimneys were never used. This beautiful big chimney, you can see on one of the houses to the left of the junta de freguesia. It dates back to the 17th century. 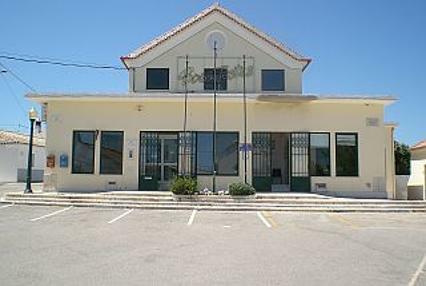 This a the daycare centre (centro de dia) for the elderly. 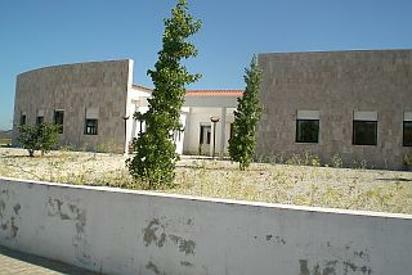 The building is situated just outside the village, next to the football stadium and the Red Cross. The old people are picked up at their homes in the morning and spend the day here. They are also provided with a warm meal. In the village you will find several grocery shops, a butcher, a hairdresser, a pharmacy, a hardware store, a clothing store, a shoe store with lottery service, a bank, several bars/cafés and restaurants and several smaller companies. A listing of local businesses you can find here. São Marcos da Serra is famous for its local bread. There are still 2 bakeries left in the village. Every morning a mini-van drives around, bringing fresh bread to the people, but you can also buy it at the grocery shops. From these kind of "mobile shops" you can also buy fresh fish, vegetables and fruit, clothes and frozen food.